Source: Amherst College Archives and Special Collections. Transcribed from digital images or a microfilm reproduction of the original item. For a description of the editorial rationale behind our treatment of the correspondence, see our statement of editorial policy. 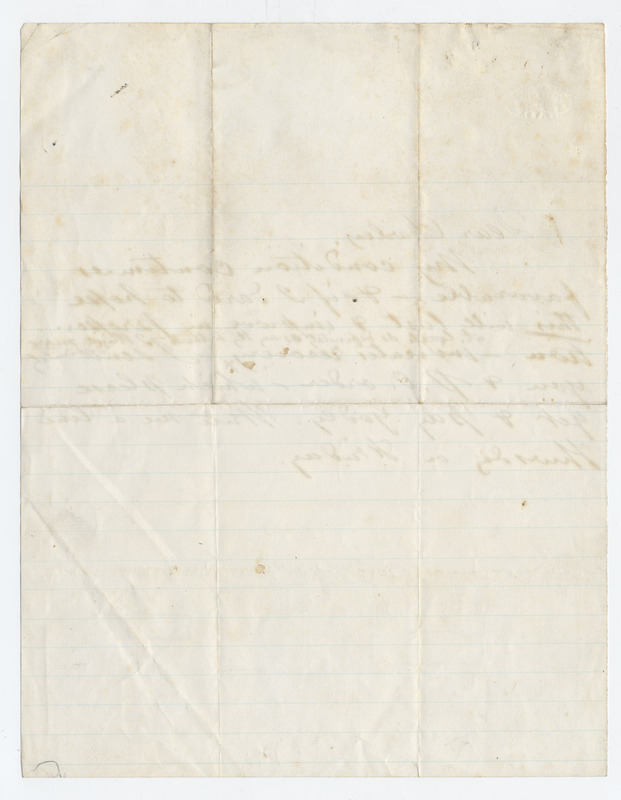 Notes for this letter were derived from Walt Whitman, The Correspondence, ed. Ted Genoways (Iowa City: University of Iowa Press, 2004), vol. 7, and supplemented, updated, or created by Whitman Archive staff as appropriate. 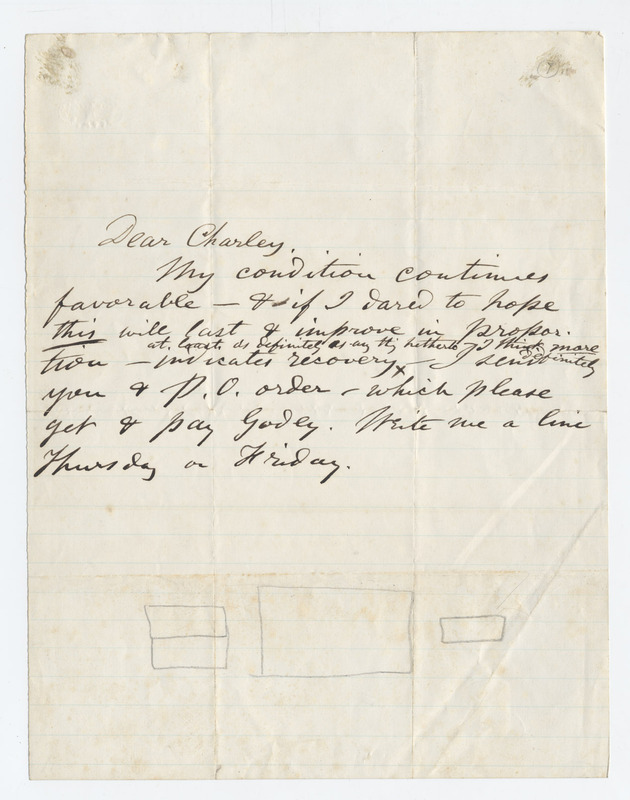 Cite this page: "Walt Whitman to Charles W. Eldridge, [29 (?) October (?) 1873]." The Walt Whitman Archive. Gen. ed. Ed Folsom and Kenneth M. Price. Accessed 20 April 2019. <http://www.whitmanarchive.org>. Charles W. Eldridge (1837–1903) was one half of the Boston-based abolitionist publishing firm Thayer and Eldridge, who issued the 1860 edition of Leaves of Grass. In December 1862, on his way to find his injured brother George in Fredericksburg, Virginia, Walt Whitman stopped in Washington and encountered Eldridge, who had become a clerk in the office of the army paymaster, Major Lyman Hapgood. Eldridge eventually obtained a desk for Whitman in Hapgood's office. For more on Whitman's relationship with Thayer and Eldridge, see David Breckenridge Donlon, "Thayer, William Wilde (1829–1896) and Charles W. Eldridge (1837–1903)."